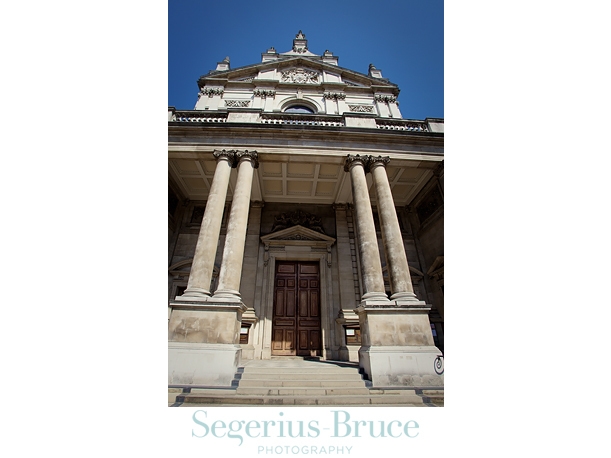 We will be shooting a Catholic Wedding at The Brompton Oratory in West London in the summer. It is a Chinese wedding and will be full of fabulous traditions. We met with the groom today and he told us all about the Chinese Tea Ceremony as well as “Obtaining The Bride” on the morning of the wedding where he will have to get past a layer of family and bridal party who will make him perform a series of tasks before being able to see his fair lady, sounds like fun! 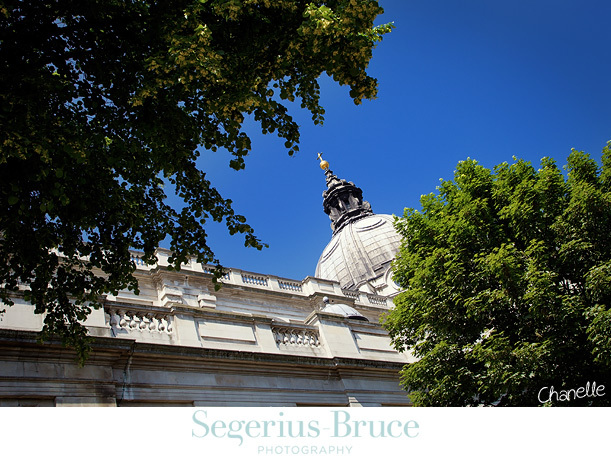 Unfortunately The Brompton Oratory does not allow photography inside other than for an actual wedding, so I had to photograph the dome from the outside. 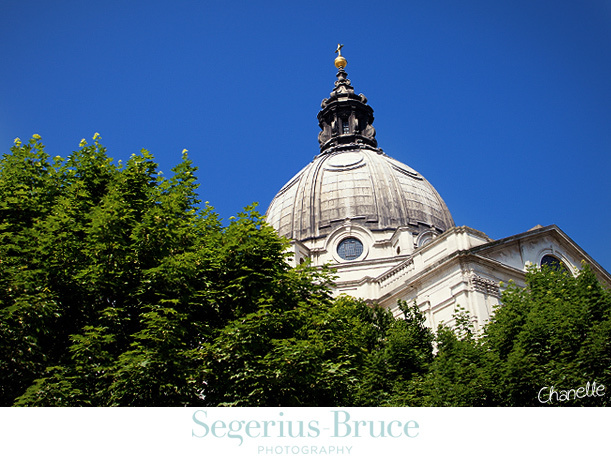 Not a cloud in the sky today up in London. Fabulous. That sounds like it’s going to be such a fun and unique wedding! Love the building! It’s so beautiful and grand.